I’ve been making a lot of pizza on the grill this summer, and I’ve made this one quite a few times, both because I really like it and because I’ve been hoping to get a decent photo of the finished pizza. The photos aren’t really happening, but I decided to post it anyway. The general idea is the same as for the grilled pizza margherita I made a few weeks ago: Grill the olive-oil-brushed crust on both sides, directly on the grill, adding the toppings after the first side is done. The toppings here are pre-grilled nectarine slices (grilled on one side only), thinly-sliced Sally Jackson goat cheese, and a little chopped rosemary and Kosher salt. 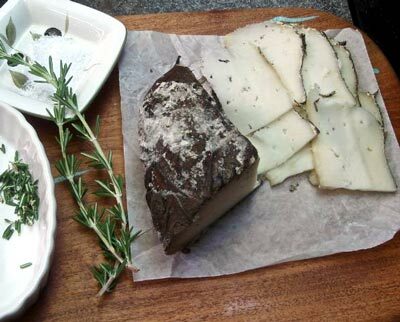 I chose this cheese, which comes wrapped in grape leaves, because it is a sliceable, meltable goat cheese; crumbly or creamy goat cheeses will not melt well in the short amount of time you have to cook the pizza while the second side of the crust is grilling. Eine Supervariante für den Grill. So etwas kannte ich bis dahin noch nicht. Das werde ich sicherlich bald nachmachen. when will u bake pizza in your new earth oven? i think it will be insane! I’d love to have a BBQ in order to grill my pizzas! Yours looks so good! I love that combo! Oh this sounds so good! What a delicious mix of ingredients. We’ve tried grilling pizza once so far this summer and I love the results! 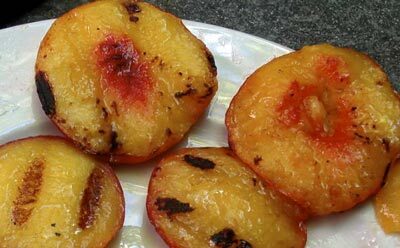 Love grill Nectarine. Nice for salad as well. Your pizza look delish! Mmm, nectarines and goat cheese. That combo cannot possibly be anything but fantastic. This looks and sounds amazing. 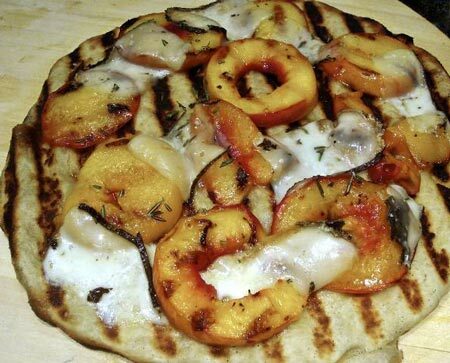 Love goat cheese, and with grilled nectarines on a pizza!? Inspired! Brilliant! 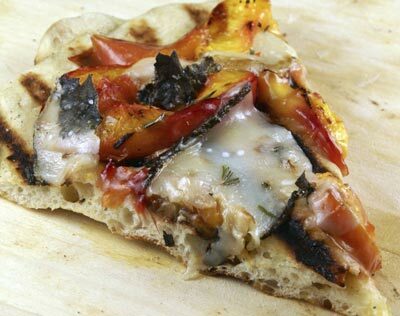 We love doing grilled pizza, this combination is inspired! That lokks so delicious. What a great combination! 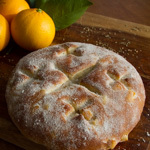 Love the combination of nectarine and cheese…so yummie! Great pictures as well. Hey, weekend edition on NPR has a pizza contest–you should enter this. Wow, Susan, you’ve done it again. 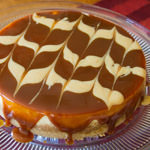 This looks absolutely delicious…. The nectarine and goat cheese pizza’s look great, can’t wait to try them as soon as we get some BBQ weather here downunder. I have used a heavy, preheated lid (similar to a clouche) when cooking on my grill – I’ll bet it would work nice for these pizzas as well. Everything about this pizza looks wonderful! I have yet to do my summer pizza grilling, but you have inspired me to give it a try over the weekend. This is one of my favorites! That pizza looks fabulous. Now I know what to do with the goat cheese and peaches in the fridge! I’ve never made grilled pizza – it’s on my loooong cooking “to-do” list. This looks delicious – love the selection of the goat cheese and the nectarines. I have to think outside my pizza box and try different toppings. Thanks a lot! I’m also a gourmet and pastry enthusiast and this would really go to my compilation. I would also like to share. 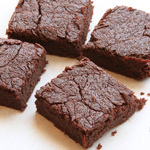 I came across a good site about European and Swiss cooking which also gives free sample family-secret recipes.